The Sani Resort in Halkidki, Greece is unique: a purpose-built luxury holiday resort for families set in a 1,000-acre ecological reserve made up of forests, olive groves and white sandy beaches. Located in Halkidiki on the Greek mainland, a region known for its crystal clear seas and pristine coastline. Design Holidays are pleased to offer the best possible room rates for the Sani Resort in Halkidiki – Greece and have many Special Offers. 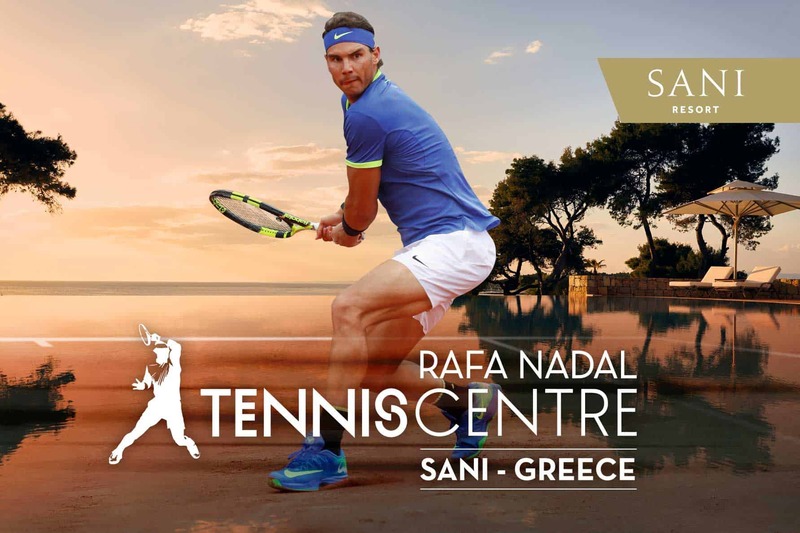 Look out for the all new Sani Dunes & Rafa Nadal Tennis Academy (see below). At the Sani Resort in Halkidki you’ll find a choice of hotels, spas, extensive sporting facilities and a number of authentic Greek restaurants and tavernas, some overlooking the fabulous Sani Marina. Because the Sani Resort is so large, but self-contained, families are free to roam in safety. There are hiking trails through the woods, mountain bikes to rent and long beaches that are perfect for sunset walks. 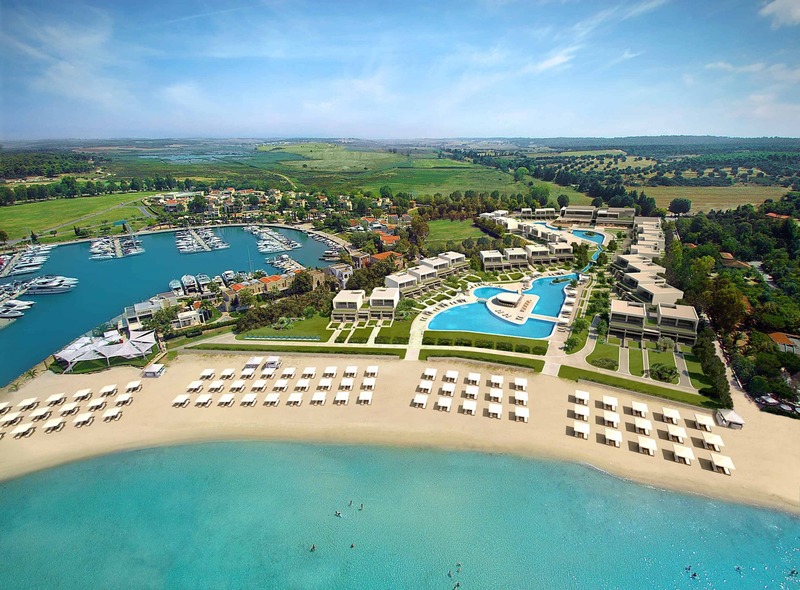 There are 4 main areas of accommodation ranging from the Porto Sani (popular amongst families) close to the Marina, Sani Resort Club with contemporary bungalows, some with private pool. The boutique-style Sani Asterias, makes it a popular choice amongst couples, not least honeymooners, with its own exclusive beach, Michelin-starred chefs and all-suite accommodation. The Sani Beach is regarded as the all time classic family beach hotel. The contemporary elegance of Porto Sani in the Sani Resort is complemented by a superb setting close to Sani Marina and is reflected in the 103 stunning all-suite guest accommodation and the subtle design with its use of fabrics and natural woods. Each Porto Sani room has its own terrace or balcony and everything that makes your stay very special, including luxury beds, choice of pillows and even a Nespresso machine. In addition, the bathroom comes complete with rain shower and Jacuzzi bathtub with luxury toiletries by Anne Sémonin. New for this year the Porto Sani has it’s own kids club. The intimate surroundings of the luxurious low rise Sani Club, with magnificent views over Mount Olympus and the Aegean. These charming bungalows combine contemporary design with soothing blue and white hues – each one with its own lush garden or private pool. The 205 warmly welcoming guestrooms give you space to relax while the floor-to-ceiling windows provide magnificent views across the ocean and the verdant Mediterranean gardens. Each Sani Club room comes with a luxurious bathroom complete with rain shower and bath. And naturally, there’s all the amenities one would expect of such luxurious accommodation. New for this year 2 bedroom Family Suites with / without private pools. This luxury boutique Halkidiki hotel in an exclusive beach setting sits comfortably in its own serenely landscaped surrounds with inspiring views over the tranquil ocean and direct access to its own exclusive beach. The Sani Asterias is a range of beautifully appointed suites, with a clean, contemporary style collection of 48 spacious and pleasingly individual guestrooms. Each Sani Asterias Suite at the Sani Resort has a private terrace that makes an ideal setting for an intimate candlelit dinner. Your stay at the Sani Resort Halkidki will be thoroughly relaxing with a dream bed and luxurious mattress, along with a choice of pillows. The opulent marbled bathroom comes complete with a sensual range of bath essentials to spoil yourself in the refreshing rain shower or Jacuzzi soaking tub. New for this year the Sani Asterias has it’s own kids club. The Sani Beach promises so much for all the family with its miles of golden sands stretching far into the distance. Each of the 394 well-appointed rooms & suites reflect the contemporary design of the hotel and offers stunning views across the Aegean or beautifully landscaped gardens. Each room comes with a private terrace or balcony and bathroom with rain shower. Light and airy, the accommodation has everything you could want to make your stay a real pleasure including flat screen TV, minibar and air-conditioning. Sani Beach offers a relaxing environment with each room having an individual balcony, exclusive terrace or own private garden. Sani Dunes is a more ‘grown up environment’, and whilst young families are welcome it is perhaps best suited to those families with older children. There is literally water all around Sani Dunes , located by the shimmering Aegean sea there is also a private beach and a choice of heated indoor /outdoor pools directly accessible from all Sani Dunes rooms. Sani Dunes offers 136 magnificent rooms, each one welcoming guests with unique contemporary style. The 80 open plan Sani Dunes suites and 56 spacious Sani Dunes rooms offer understated luxury and the highest levels of comfort. Special features include 24 hour room service and complimentary Wi-Fi to Nespresso machines and the latest audio and visual technology. Sani Dunes is especially ideal for couples and families looking for the finer things in a 5 star resort. Enjoy the magnificent Sani Dunes Spa with jacuzzi, fitness studio, 6 treatment rooms and so much more. For teenagers at Sani Dunes there is even a teenager chill out lounge. The Sani Resort Halkidki Greece offers excellent facilities for children. On the beach, the Babe Watch nannies will take care of babies and toddlers while you enjoy a swim (the first 30 minutes are free). From toddlers to teens, you’ll find there’s absolutely everything your children need to enjoy a fun-filled holiday. The Sani Resort Halkidki has fantastic pools, beautiful beaches and lots of organised activities going on every day. The safety and wellbeing of your children is paramount, so you’ll find our wonderfully equipped crèche is operated by UK childcare specialists Worldwide Kids Company (formerly PB Kids) who work to Ofsted standards policies and procedures so you can relax knowing that your little ones are in safe hands. We’ve also made sure that our menus have a healthy selection of children’s favourites, along with fabulous fruit shakes which they’ll simply adore. > Maximum 3 children Evening babysitting can be requested in advance. For prior requests this will be confirmed on arrival in resort. This is subject to staff availability. Babysitting costs €10 per hour and is payable directly to babysitters. If the babysitter is required after 10.50pm there is a surcharge of 15 Euro’s to pay for a taxi for the babysitter. The Melissa Min Club highly trained, multilingual staff provide great supervision, and guaranteed security and children’s entertainment including mini-Olympic Games on the beach, short excursions, pool games, picnics and parties. They even organise stage shows for all the family to enjoy. > The ratio for children in the 4+ club is 1:8. Pre-bookings are advised. Melissa Mini Club at the Sani Resort is for children aged 4-11 years is a complimentary service. The Sani Beach Resort knows only too well how much fun teenagers love to have on holiday and so you’ll find them well prepared with a big range of specially organised activities. There’s classes in hip hop, dancing, DJ-ing as well as in outdoor activities such as archery, beach volleyball and paintball. There’s always something new to discover so check out the activities when you check in. One things for sure, your teens will never be bored. In the Teen Club they offer supervised activities that take advantage of everything that Sani Beach Resort has to offer. Some activities are payable and costs are advised on the hotels weekly activity programmes.The Teen Club gives our young guests the chance to try new things and meet other people of their own age. They will do everything from water sports and football, to cooking and spa experience sessions. They love football in Greece so make your way to the Football Academy at Sani Resort which is open every day during high season and staffed by professional, certified instructors.There’s soccer for general players as well as teenager camps and organized tournaments.For booking and reservations, you’ll find reception is set-up on the Terrace near the mini soccer court and handles all bookings and reservations!Toilets and changing rooms are available next to the basketball court and when it comes to refreshments you’ll find a sports Bar with chairs and tables located on the terrace, right next to the football court. 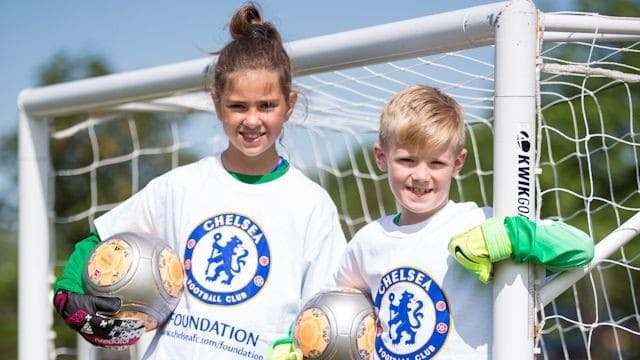 Chelsea Soccer School at a glance : Ages 4 – 16 years of age in 4 age groupings 4-6 years / 7-9 years / 10-12 years / 13 – 16 years from April – October with session times 09.30-11.30am & 5-6pm daily. Cost includes , daily tuition, Chelsea FC / Sani Resort kit & course certificate. Cost for 5 day course is €300 per child or 10 days from €520 per child. New this year is the Rafa Nadal Tennis Academy. For those who love a game of tennis or just a knockabout The Rafa Nadal Tennis Academy at Sani offers 8 clay courts, two of them floodlit, in the brand new state-of-the-art Sports Complex near Sani Beach Hotel. Rafa Nadal Tennis Academy qualified tennis instructors offer professional coaching for groups and individuals as well as organising guest tournaments and renting equipment. The goal is to provide high-quality tennis coaching (for all ages & standards) so that guests and residents of Sani can play and take classes as part of a tailored programme that is customised to the many different player profiles. These programmes have been developed through an exclusive training system, based on the successful experience acquired by Rafa Nadal and his coaching staff which were incorporated during Nadal’s profesional tennis tours spanning 15 years. To guarantee coaching excellence, all of the coaching staff at the new Rafa Nadal Tennis Centre spend 2months in Manacor, Mallorca learning the methodology that has been implemented at the Rafa Nadal Academy by Movistar. At the Sani Resort you can fill your day with fun activities or choose to simply sit by the pool with the latest bestseller. There’s lots to do on the water, in the water and even under the water such as our PADI scuba diving courses. While back on land there’s a whole array of sports you can try at the Sani Sports Centre including football, tennis, table tennis, basketball and beach volleyball. You can also hike through the surrounding forests, visit the nearby wetlands and enjoy the rich flora and fauna for which this area is renowned. Scuba Diving : For diving enthusiasts, or those who want to try for the first time, the Sea World Diving Centre at Sani Beach Club has the best equipment and professional PADI instructors. They also organise a wide selection of under-water excursions including a visit to a ship wreck. New for this year the Sani Sailing Academy!! At the Sani Resort in Halkidki you can really spoil yourself. 3 elegant spas can be used by all guests and provide a wide selection of treatments in serene surroundings with a range of luxury aromatherapy products. All treatments are given by qualified and experienced therapists and you can also choose to have a massage or an express treatment, on the beach or in the privacy of your room at Sani Asterias Suites. There are also steam rooms, saunas, Jacuzzis and two indoor pools for your total relaxation. And if a good workout is how you like to start you day, the Sani fitness centres provide all you need. Whether you want an intimate dinner or to sit down and have fun with the family, you’ll find what you want at Sani Resort Club. A delicious world awaits with Sani restaurants satisfying the most demanding appetites, however big or small. And after dinner you can soak up the atmosphere at one of the bars where you can chill out or step out, depending on how the mood takes you. Whatever you choose, don’t miss the live music evenings at Dunes Bar. The Sani Dine-Around programme allows half-board guests to enjoy their meals, at restaurants throughout the resort. Guests may use their Half Board meal allowance in 13 a-la-carte restaurants, where the guests can either select one of the several tailored set menus – without extra charges – or order a-la-carte (all except Sani Asterias Suites). If guests at the Sani Beach resort choose to order a-la-carte, the Half Board meal allowance will be deducted from the final bill. Sani Resort in Halkidki Greece is situated on the magnificent Kassandra peninsula, the first of the three beach-fringed peninsulas of Halkidiki. 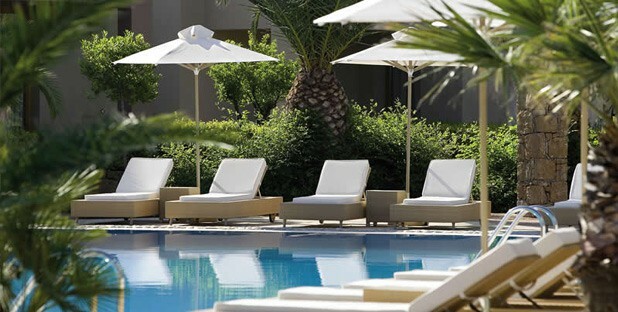 Sani Beach Resort overlooks Mount Olympus and is close to the glorious but unspoiled beaches of the Sithonia peninsula. Sani Resort Halkidiki is also within easy reach of Thessaloniki – Greece’s second largest city and the capital of Macedonia. It is one of the most beautiful cities in Europe and a vibrant cultural centre with theatres, clubs, contemporary art museums, galleries, designer shops and a bustling café culture. Halkidiki airport to Sani Resort – 45 mins transfer time.